We do only High Definition that are done for Movies ane Model Make-Ups. These Make-Ups last for hours and you don't have to worry of Make-Ups or Lipsticks been drained due to sweat. High‐Definition Makeup is not a brand of makeup that we use on our face, this is actually a TECHNIQUE - a technique that a makeup professional has to undergo training, practice, and master to be able to do makeup for HD cameras and it doesn’t mean that if you use HD Makeup, you are HD‐camera ready. We want to take care of you on your wedding day. We use only the best products and current techniques so you can be sure to have the look of your dreams. We have full Bridal packages including engagement. This would include everything. We want you to be confident on your special day. So, we highly recommend a make-up trial before the big day so we can help you choose the colours and styles that suit you. 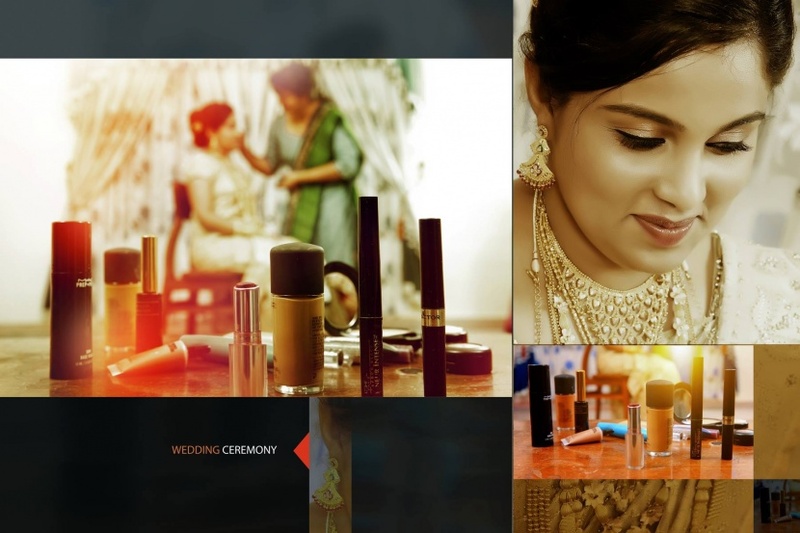 We are dedicated to transforming you into a radiant and stunning bride! Creative hair styling and setting. Bridal bouquet (fresh flowers), 2 Bridesmaid bouquets, car decoration bouquet (front & back), 2 greeting bouquets & garlands. Change of Saree after Marriage for the reception. NB: If you require professional make-up application for additional people such as your Mum or others this is also available at a discounted price. Pricing on request only. NB: There might be many who do these works at even half the price we do but we do not compromise on Quality and Quality never comes cheap. 25% Advance paid to book the dates of Engagement and Bridal Make-up shall not be refunded at any cost and we don't expect anyone to cancel order and if the cancellations are not due to cancellation of the function itself, we may even ask to compensate us for our loss of business.